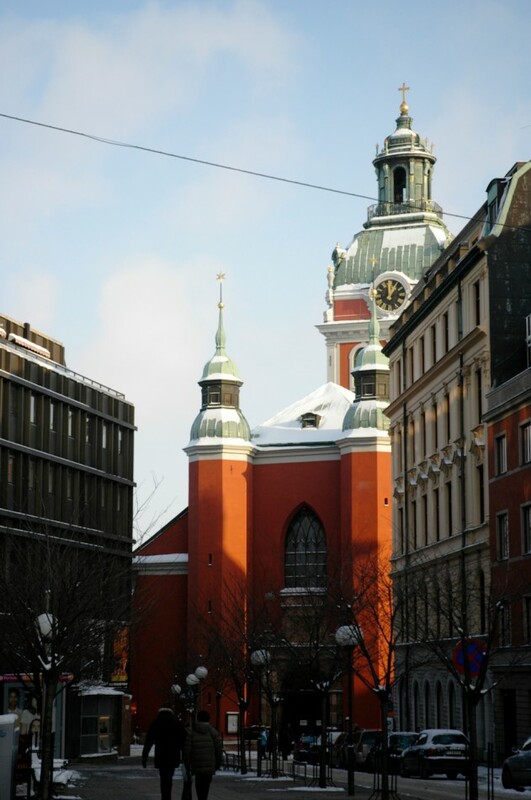 Apr 26, 2013 | architecture, churches, colors, red, winter. Saint James’s Church peeking around a corner in Stockholm. St James was the patron saint of travelers.